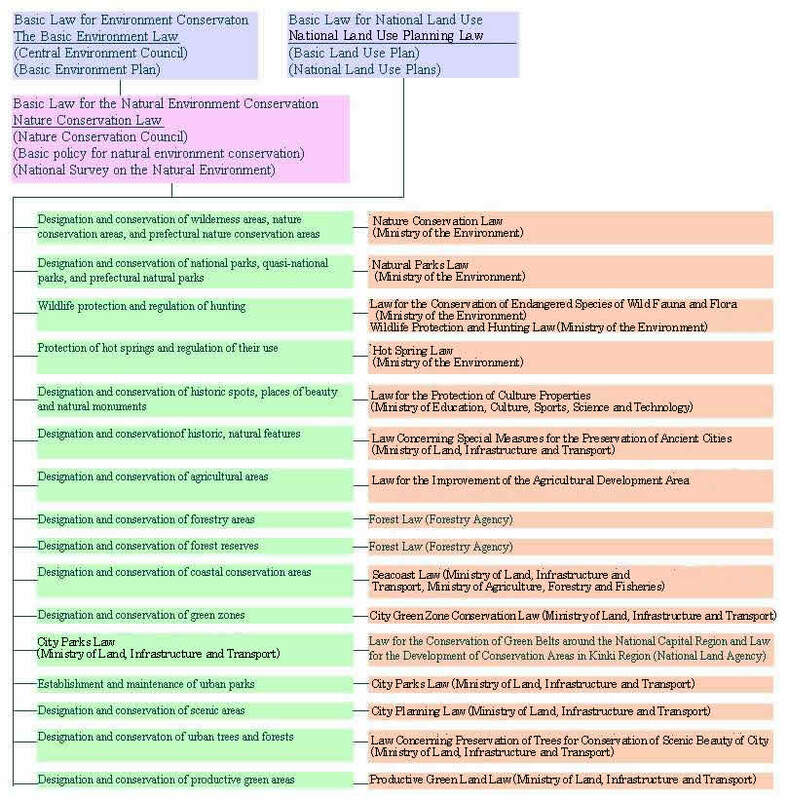 Legal framework for the nature conservation and management of Japan is described in the figure below. Many other laws not listed in this figure also regulate activities which may provide adverse effects on natural environment. The Environment Agency is responsible for formulating nature conservation policies and coordinating several government agencies' activities in the field of nature conservation in accordance with the Nature Conservation Law.